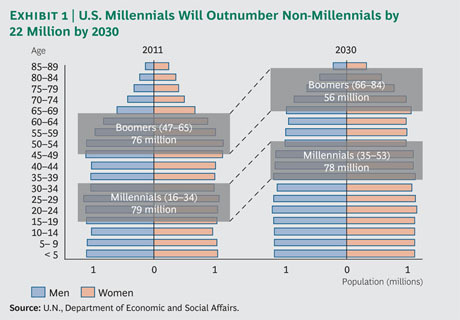 On average, U.S. Millennials already shell out and influence the expenditure of hundreds of billions of dollars annually—an amount that will only increase as they mature into their peak earning and spending years. Millennials’ expectations are different from those of previous generations, and companies will need to rethink their brands, business models, and marketing accordingly. Yet our research shows that many executives who make product and service decisions for their companies have negative or dismissive attitudes toward Millennials.